Small businesses are the soul of America. This is where they tell their stories. We want to showcase how our stories bind us; how America is more united than it sometimes feels. Small Business War Stories is a weekly 30-45 minute show recorded in person with small business owners and operators. We discuss different topics and get the triumphs, struggles, and funny stories from our guests’ everyday lives. 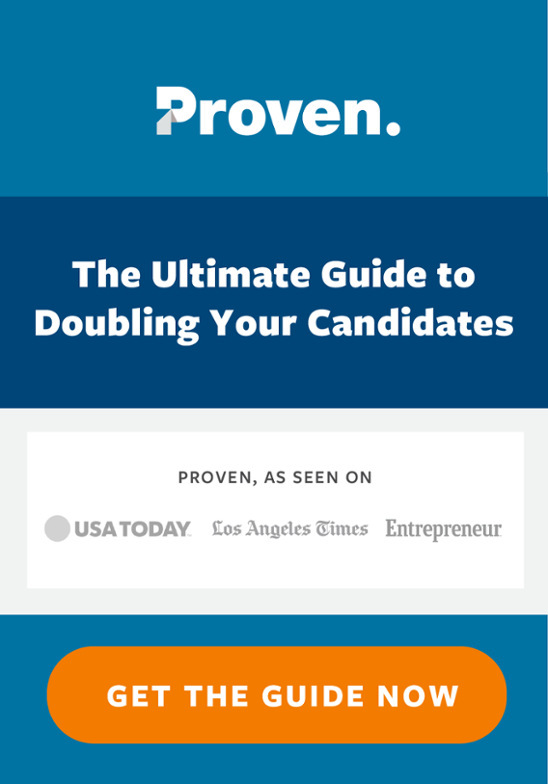 Hosted by Pablo Fuentes, CEO and Founder of Proven, the leading small business hiring tool. Matt Richards takes old wooden radios from the early 20th century and turns them into guitar amplifiers. We sat down with Matt at a special time in his journey....he is making the leap to Square Amps being his full-time pursuit. What is it like to source old radios? How does an introvert look at self-promotion? Who are some of the artists who have played Square Amps? All of this and more on today's episode. SouthPop is an Austin institution! The South Austin Museum of Popular Culture is a funky, colorful, and amazing non-profit. Leea Mechling and her team serve as keepers of the torch for the history of popular culture in Austin, a city with a rich trove of stories, characters, songs, and art. What is it like to run a non-profit? What happens when the pipes break? What crazy stories has Leea been witness to? All of this and more in today's episode. Noel Escobar is a craftsman and bootmaker in Austin, Texas. He was born into the trade in South Texas, and has established himself as a presence in Austin for decades. Why do celebrities and everyday people from all over the world visit Noel to have custom boots made by him? What does Noel do to foster community? What kinds of events does he host? All of this and more in today's episode. What a special episode! Colorado whiskey, great conversation, and an original song at the end. Th podcast itself was fantastic, and talked about dealing with the psychology of the blank page, getting out of our own way, and how to create (and complete) things/projects from scratch. Make sure you stick around until the end...Nick will put goosebumps on your arms and a knot in your throat with his original song "Señorita." Grant and Karen are living the dream. And they also have their struggles, like all of us. In this episode, they share their story of how they became an in-demand guitar pedal company. From Grant's days as a touring drummer, to Karen's visual design skills, to the way they use social media and Google Analytics to grow their business. They also have some cool music stories and mighty challenges that they have overcome in their journey. This is a very inspirational episode...Grant nor Karen knew anything about how to make guitar pedals when they started...now they have a thriving business! Brett and his brother just won't give up. When their original idea for a drink had to be shelved because of a prohibitive required volume, they came up with another concept and successfully launched Moontower Matcha. We talk about matcha tea, the ins and outs of starting a beverage company, how to find distributors, and we also dive into how to connect with social media influencers to promote your brand. Lots of good tactics in this one! In this episode, we dissect how to figure out what is important for you to get started with Facebook ads for your small business. By the end of the episode, you will have a six-step guide that you can follow to tackle this seemingly daunting task. You are good at learning things...learning this will transform your business! You'll be really impressed by his story of constant reinvention and learning, but that's not all. Mercer will help you understand how to start demystifying online marketing, so you can start really making your marketing work for you. Tara Dawn Chapman went from being a CIA agent to cold-emailing a bee farm. The email included her squat and deadlift numbers (beekeeping is hard work!). The rest, as they say, is history. Tara launched Two Hives Honey by putting hives in people's backyards. She then partnered with the hosts by harvesting the honey while teaching them beekeeping. Always wanted to know about bees? Are you interested in a badass female entrepreneur making her vision happen? Tune in! Today's episode is nothing short of magical. What is The Tower? Why are there statues of Don Quixote everywhere? What exactly are the Magical Worlds of Communication? Mick Whitcomb takes old objects like typewriters and scales and makes funky awesome light fixtures out of them. His wife Paige makes beautiful tintype photography. Mick and Paige spend 300 days on the road with their dog, going to different art shows, setting up their booth, and making a living. They are based out of Springfield, Missouri, but their customers are nationwide. This is a fascinating story, and a business model that I had not seen yet. We cover what it's like to be a traveling artist, how to get accepted into art shows, and what it's like to travel and work with your spouse. Don't miss this episode...it's packed to the brim with unique stories! Film cameras? Who shoots film cameras? It turns out an increasing number of people are becoming interested in film as an art medium and as a way to slow down an appreciate photography. Jeremiah Flynn talks about his store where he sells all kinds of film cameras and supplies, from the common to the exotic. We also discuss how he does tintype (or wet plate collodion) photography as a way to supplement his income and keep the business going. Don't miss the part near the end where we discuss how people can create content and lessons that can provide them with a passive income stream. What would happen to your guitar if it got run over by a truck? Nothing, as long as it was in Calton case. Robert Steel tells us exactly what happened and what the guitar and the case looked like after it was all said and done. Robert is awesome, and he tells a lot of stories, from rock and roll celebrity stories to what it's like to manufacture in the US in the 21st Century. Don't miss this episode! Paul Jarvis just wrote a book called "Company of One" and sent me a copy. I read it cover to cover and found it really compelling, so we hosted him on the show. Paul talks about a different kind of business philosophy, where more is not always better. How do you build a Company of One to fit your lifestyle and goals? Why and how should you resist the envy that comes when you see others constantly growing their business? This and more in today's episode! Kara is amazing. Do you want to learn how you can take your art and turn it into a business that makes $100k annually within one year? Kara has the blueprint! She is also writing a book about it, and we get a bit of a preview. Kara has a successful ceramics business in Austin, Texas, but this episode is about so much more than that....we cover art, business, manifesting your outcomes, the power of positive thought and intention (backed by consistent action) and more! Unmissable episode if you are looking to take the leap on your own in 2019 and beyond. Did Bill Murray really climb through the window of Willie Nelson's chapel during Luck Reunion? Matt Bizer, Ellee Fletcher (Willie's grandniece) and I talked about the music business, Willie and his family, how artists make money in the 21st Century, and how Luck Reunion is creating a new kind of music and content company. We also talk about community and the role that music and podcasts have in bringing people together. Thank you for listening to Small Business War Stories...here's to the next 100! Jeffrey Stuffings left his job as an attorney to make farmhouse ales, a specialty form of beer in the Texas Hill Country right outside of Austin. He shared the formation story of his iconic brewery, and gave some amazing business tips and ideas, such as how to really unleash your mind with just a piece of paper, a pen, and a cup of coffee. This is a great episode with lots of stories and wisdom from the front lines of starting a business. It's fair to say he has learned a thing or two about how to help small businesses! Today we discuss the main 5 reasons why businesses get stuck, and how to address each one. We also talk about various aspects of starting and running a business, including mental health, reading financials, and how to keep it all together as well as possible. Two badass designer women got together in Austin, Texas to create Double Barrel Design. Megan Willin and Chelsea Scharbach merged their skills to create a firm that does space design (think 3D and architectural interior design) with 2D graphic design. Their work is awesome...and so is their story! Wow...I got to sit down with Ryan Deiss! Ryan is one of my personal influences and one of the foremost digital marketing experts in the world. We talk about how to build your brand as a comic book or movie character, and how that builds the foundation for everything you communicate to your customers. Then we go into specific tactics to increase your conversion from prospect to new customer. We recorded at the Wizard Academy in the Texas Hill Country outside of Austin. Don't miss this episode with one of the top minds in digital marketing. Our first follow-up episode in almost 100 podcasts! We re-visit Seth Lee Jones in Tulsa to talk about his new record Live at The Colony, his guitar building and repair business, and how he is planning on building recurring revenue streams for his business. We talked about what it means to be a job shop in the 21st Century, the history of metal fabrication, and what the future holds, including the prospects for 3D printing and American Manufacturing. Today I sat down with Austin Peterson of Black Dog Traders. We dug into the refurbishment and custom fabrication of vintage-styled Toyota FJs. We also talked quite a bit about marketing, as Austin has a lot of experience using Adwords for his business. Today we are joined by Amelia Raley of Sweet Ritual Ice Cream, a dairy free ice cream shop in Austin, Texas. Today on Small Business War Stories we are joined by Trey Ramirez, co-founder of Spokesman Coffee, a cafe by day and a bar by night, in Austin Texas. Today on Small Business War Stories we are joined by Allyson Garro of Coco Coquette, a wig and makeup shop in Austin, Texas. Today, on the last episode of the Soul of America Tour, we are joined by Jake Hurwitz. He shares his story of starting a student led creative agency, discovering his passion and picking himself back up after failure. On today’s episode we are joined by Rob Nance of Rob Nance & the Lost Souls, a traveling band from North Carolina. Rob, Jordan, and Dylan have all been playing music since they were children. Inspired by the Southeast region, they began playing separately in bluegrass bands and ended up meeting each other through the community. Now, they make up Rob Nance & the Lost Souls, recording together and traveling the country on tours. On today’s episode we are joined by Barb Heinze of Merlin’s Hide Out, a shop that specializes in customized, handmade, real buffalo hide products. On today’s episode we are joined by Joshua Gebreyes of Tibeb Leatherworks. Joshua is an architecture student interning from Ethiopia, who is crafting beautiful leather-bound journals and wallets using Ethiopian fabrics and prints. On today’s episode we are joined by Robert Keith of Beartooth Group, an investment group that connects people to the American West by running ranch investment funds, representing ranch buyers, and managing habitat restoration. On today’s episode we are joined by Derrick Montoya of 3D Kutz Barber Shop, Albuquerque's original and most exclusive MMA style barber shop. On today’s episode we are joined by Chas Marsh and Travis Goodman, founders of Jackson Hole Still Works, a distillery creating high quality grain-to-glass craft spirits. Today we are joined by Z Yang of Serenity Forge, a company that seeks to create meaningful video games that challenge the way you think. Z Yang built his first computer when he was six years old and designed his first video game when he was 10. He was always interested in video game design, and when Z was 18 he was diagnosed with a rare disease that put him in the hospital for two years. Z says himself that video games saved his life, allowing him to feel successful and giving him a community filled with support. Recognizing that video games helped him, he wondered what could be done if games were specifically designed to help the people playing them. This led to what is now Serenity Forge, a company creating video games for good. 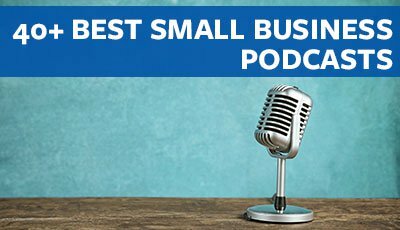 On this episode of Small Business War Stories, we are joined by Peter Sveen, founder of DIY Pete. His company creates content that helps others get inspired and learn to build projects. On this episode of Small Business War Stories, we are joined by Dan Grissom of Biscuit Press, a company he started to become a full-time freelance illustrator and screen printer. On today’s flash episode we are joined by Ben Kniffen, President and COO of Linked Selling, and a leader of The Small Biz Forum on Linkedin. On today’s episode we are joined by Josh Stanton, co-founder of Screw the Nine to Five, where Josh helps people leave their nine-to-five jobs to start their own businesses. Screw the Nine to Five started as a blog about being a lifestyle entrepreneur that gradually grew into a brand and business on its own. Screw the Nine to Five now helps people who want to run their own businesses to leave their desk jobs to chase the entrepreneurial dream. On today’s flash episode we are joined by Dave Hamilton, who co-hosts a podcast called The Small Business Show, as well as leads a small business support group online. On this episode of Small Business War Stories, we are joined by Beau Hightower of Elite-OSM, a result driven clinic that is passionate about patient care. On this week’s episode we are joined by Scott Sanchez of JD High Country Outfitters, a one-stop shop for the great outdoors. They have everything from equipment, to rentals and guided tours! Join us as Scott shares his business war stories from Jackson Hole, Wyoming! On this episode we are joined by Bill, Anna & Miles Wirtel of Santa Fe Stoneworks, a company that creates fine handcrafted stone inlay knives. Join us as we discuss family business, apprenticeship, and business war stories. Today we are joined by Spencer Hirst, Co-founder of Western Range Clothing Company, a classic clothing company garnished with a bit of western. Today we are joined by Aaron Boyd of Tres Cuervos Leatherworks, a company that creates hand crafted practical goods using American leather, brass, and wood. Today we are joined Chris White, CEO and Co-founder of Shinesty, a company that creates outrageous clothing for theme parties, costume parties, and general ridiculousness. This week we are joined by Dayle Morningstar and Brandon Laird of Colorado Highland Helicopters, a family owned and operated business that provides flight instruction, search and rescue, photography and reconnaissance. On today’s episode we are joined by Jason McCarthy of GoRuck, an American brand with Special Forces roots that is aiming to change the world. Today we are joined by John Feins of Meow Wolf, a New Mexico based arts and entertainment group that established in 2008 as an art collective. Today we are joined by Dan Aggeler, co-founder of Durango Soda Company, the makers of Zuberfizz. Today we are joined by Mat Sorensen, a business attorney at KKOS Lawyers, a best-selling author, and a national speaker and expert on self-directed retirement accounts. Dana Gleason founded Mystery Ranch, a company that manufactures packs and load carriage systems for military, hunting, wildland fire and mountaineering customers. Dana has been involved in the outdoor apparel and gear community for 43 years and is considered a legend in the industry. He began creating gear for climbing, backpacking, and skiing in 1975. On our last SXSW episode we interview Eric Waisman, the founding instructor of Jaunty, the school of social intelligence. Eric believes that human communication has been skewed by online interaction and strives to help people who are uncomfortable in face to face situations. Today we interviewed Bay McLaughlin, the co-founder of Brinc, a company that helps founders build and launch connected hardware businesses. Bay currently lives in Hong Kong, China and has lived in many places while working with tech companies and small businesses. Check out Jim's podcast: Alexa STOP! On this episode we are joined by Kris Potrafka, founder of Music Firsthand, a live music booking app. Music Firsthand is a small business, technology startup, and is involved with music. This company embodies everything that SXSW is all about. This week, we interview Brennah Rosenthal. She works with Mountain Standard, an apparel brand that sells outdoor gear and everything you need to survive a mountain lifestyle. Mountain Standard has been in operation for 3 years and recently opened a store in Boulder, CO. They are striving to become a brand that releases new gear for every season of the year. Vince Romano started his career in the dairy industry at a very young age. Aftet traveling throughout the world, Vince realized he wanted to do something that utilized the skill and heritage of the American workforce. With that, Truman Boot Co was born. Joining us from Boulder, Colorado, Vince Romano tells us the ins and outs of his business. Robin Moore and Cebastien Rose, self-proclaimed "plant nerds" are seasoned foragers and farmers. When they decided to leave their jobs and start their own business, they made a list of things they lived to do. When their list included being outdoors, being in the wild, spending time with their dogs, foraging, and being in nature- the direction of their business, Dryland Wilds, became second nature. Join us this week as we discuss distillation, enfleurage, maceration, essential oils, tinctures, concretes and absolutes and much, much more. Steve Jones founded Teton Gravity Research with his passion for action sports and technology. This week, I had the pleasure of talking to John Lee Dumas. John is the founder and host of Entrepreneur on FIRE, an award winning podcast where he interviews entrepreneurs seven days a week. For this week's special FLASH episode, we were able to talk to John. Join us as he shares some of his best pieces of advice and wisdom from his experiences. Tom and Carrie Dragt have been collectors of vintage pieces since they were kids. Opportunity struck when an old clothing store went out of business and Tom and Carrie bought some of their old inventory. This led them to focus on vintage clothing. They began selling out of their house and doing online sales, then moved to a store three years ago. They find pieces through traveling and utilize Instagram to show off their recent finds. Tom and Carrie started Old Colorado Vintage, a store that brings together vintage clothing and articles. This week on Small Business War Stories, Tom and Carrie join us from Durango, Colorado. At this year's Inbound conference in Boston, MA, we had the pleasure of meeting Strother Gaines. Strother Gaines is an entrepreneurial coach, a theater owner and a Unicorn, dammit! Strother, fresh off his breakout session, How To Network Without Being An @sshole", gives us pointers on how to network comfortably, while remaining true to yourself. Carla Nowicki's background as a young athlete alerted her to a problem facing many young athletes. Instead of encouraging athletes to be stronger or healthier, there was a constant emphasis on being smaller. The message was that being smaller was the key to being faster and "better" for these young athletes. Carla started Pursuit Nutrition, a performance solution for individuals looking to pursue their best selves. Paulo Coelho Brandão comes from a city in Brazil called Manaus. Manaus is located in the middle of the Amazon jungle, accessible not by automobile, but only by airplane or boat. Known by many as ‘Coelho’, Paulo is a Black Belt World Champion in Brazilian Jiu-Jitsu. Killy Scheer always had a love for interior design. As a young child, she constantly found herself rearranging her bedroom. After working for a few design firms, both big and small, Killy decided she wanted to go out on her own. 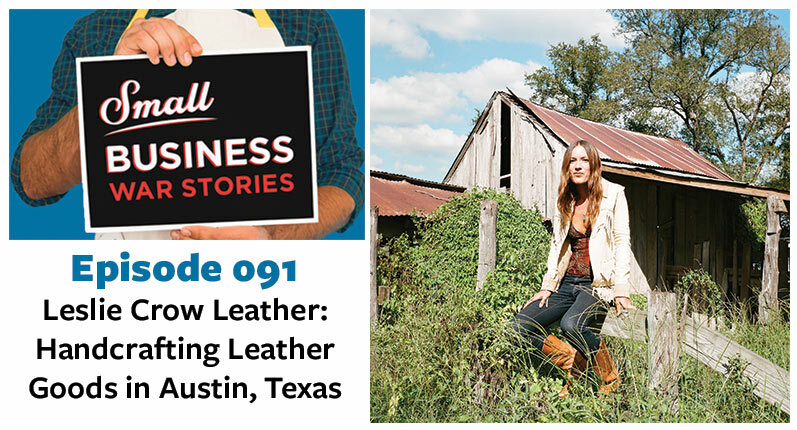 On this week's episode of Small Business war Stories, we join Killy to talk about her Austin-based boutique interior design firm, Scheer & Co. Faced with a new year, you are probably reading about diet cleanses and all sorts of 30 day challenges to transform your body- and quick! Tod Moore of Atomic Athlete started his "Fitness with a Purpose" approach with some rusty barbells out of the back of a truck in Austin, Texas. Rather than piggybacking on fad workouts, Tod Moore was more interested in identifying individual strengths and weaknesses, honing in on them and building out a sustainable physical fitness system. The Hotel Kitsmiller Main is a family-owned retro motor court built in the 1940s in the town of Fredericksburg, Texas. Matt and Taylor Gutierrez met in Austin while they were both working in the corporate hotel world. Little did they know, they would be afforded the opportunity to run Taylor's family's longstanding business. When Erik Axel Brunt began his apprenticeship at a tattoo shop, he thought he was only interested in doing body piercings. However, once Erik began apprenticing on a weekly basis, he found himself interested in the tattoo art surrounding him. Being around the art and seeing tattoos done on a daily basis, Erik began envisioning the tattoos he would eventually create. Now, Erik works out of Triple Crown Tattoo in Austin, Texas. This week Kristi brings us into her world. Josh Harcus, chairman at Huify and bestselling author of A Closing Culture, joins us this week four our inaugural Flash Episode of Small Business War Stories. This week, we discuss the art of business gifting, the best tactics and the perfect timing to gift your customers. Josh Harcus instructs us on how to gift thoughtfully and authentically to grow your business relationships. How to give gifts that are thoughtful, lasting, and that people might not typically buy for themselves. How to think of the long-term value of a customer gift. Enter our contest to win a $100 "gifting" gift certificate to the best gift submission idea. Tommy Talley came home to Baton Rouge, Louisiana in 2011. After working for years in reality television in Los Angeles, Tommy launched and grew his production company, Tommy's TV, into a full production arsenal. Tommy's TV produces and creates stunning personalized videos that deliver key messages through the art of storytelling. This week Tommy talks about "Punk-ing" with Ashton Kutcher, the love of storytelling and about coming home to Louisiana. Learn how to use the fundamentals of storytelling to tell a story in an interesting and communicative way. Learn about the best places to fit your video content and what, in today's standards, constitutes a "too long" video. Take a stroll down memory lane, as Tommy and Pablo discuss the finest of reality tv (ahem Jersey Shore) from the late aughts. When Phil Angotti and his two guitar-loving coworkers left their jobs at a huge guitar store, they opened their own business in the Wicker Park neighborhood in Chicago. Avenue N guitars was founded with an overflowing knowledge and passion for guitars, especially of the vintage variety. This week on Small Business War Stories, Phil talks about music, Wicker Park and the fine workmanship of classic guitars. The New Roxy in Clarksdale, Mississippi was built in the 1940's but sat vacant for 30 years until a merchant marine from Seattle named Robin Colonas purchased it in 2008. Robin had been visiting Mississippi off and on for a while, and something about Clarksdale really grabbed a hold of her. At the time, Robin had no plan for the building other than to try to protect it. It was just an expensive hobby. However, today, the New Roxy is a successful art, music and theater venue. This is Robin's incredible story about transforming the New Roxy into a new opportunity for the Clarksdale community. When Jeff Pearson started his Play N Trade video game store in Lafayette, LA, Play N Trade was a successful franchise with 750 stores nationwide. However, Jeff's store is still going. He even has plans to open a second one. How did Jeff's version of Play N Trade survive? What makes him different? This week we get the whole story from Jeff. Letterpress printing dates back to the 1400s and was the primary method of print until the mid-20th century. Offset printing took over and now digital printing dominates the print world. However, recently letterpress has had a revival as an artisan printing form. In Louisville, Kentucky, Patrick Masterson is helping to keep this print form alive with his print shop. He believes that this is how typography is meant to be printed, it adds dimension and feels great in your hand. We get into this and whole lot more on this week's episode of Small Business War Stories. The American Dream is closely tied to entrepreneurship. The notion that someone, regardless of their background, can work hard, make a better product or invent something completely new, and become whatever they want, is fundamentally American. Many businesses fail. But perhaps one of the most frustrating reasons for failure is dealing with excessive regulations. This week on Small Business War Stories, we sit down with JoAnn Prosser to discuss her battle with regulations when opening a raw food cafe in Lexington, Kentucky. Just over 5 years ago, David Swider was lamenting with a friend about how they wished there was a good record store in their hometown of Oxford, Mississippi. Finally, they asked themselves, "Why don't we do it?". This simple idea led to the creation of the independent record store The End of All Music. Now, 5 years later, the business is stronger than ever and David is working his dream job. This week on Small Business War Stories, we sit down with David to talk about how he has managed to make an independent record store not only succeed but thrive. A company's culture goes beyond their benefits and is not something that employees bring with them. It must be set by the founders of the business and it is reflective in the vision, beliefs and values of the organization. Carol is an amazing woman and we are excited to have her as today's guest on Small Business War Stories. In 1969, a former coffin show room located at 3614 Jackson Highway in Sheffield, Albama was converted into the Muscle Shoals Sound Studio. Huge names in music like the Rolling Stones, Cher, Bob Seger, Lynrd Skynrd and many more recorded songs and albums within its' walls. Only a decade later, in 1979, the studio would close. Following a documentary titled Muscle Schoals in 2013, interest was peaked in restoring the forgotten building. Today, on Small Business War Stories, we talk to Andrew Kelly of the Muscle Shoals Music Foundation about how they helped restore this building to help establish an iconic music museum. There has been an explosion in growth of the craft beer market over the past 10 years. Today, there are more than 5,300 breweries in operation in the U.S., up from just 2,000 in 2011. That means breweries have grown 21% annually since 2011! However, after 8 years of double digit market growth, in 2016, the craft beer volume fell to just 6% year of year growth. What does this mean for the craft brewery market? Is it time to panic or is this just a sign of the industry growing up? Have we reached a saturation point? We sat down with Mike Raspatello, founder of October, a beer magazine and website, to discuss where he thinks the craft brew industry is going. This and much more in today's episode of Small Business War Stories. Jonas Koffler of the improv and training group Four Day Weekend, has been helping businesses learn these skills for the past 20 years. What started as a limited six week run at a local theatre, has grown into a 20 year successful business where the group has now worked the who's who of Fortune 500 companies, toured with the USO, and performed for two different U.S. presidents. Starting a photography business is simple, but making it successful and profitable is a real challenge. Between existing full-time photographers and those doing it as a secondary part-time job, there's a tremendous amount of competition in the market. But many photographers have managed to succeed by carving out a niche and building a sustainable lucrative business. We spoke with Dan Mitchell about his journey from budding school teacher to full-time music and events photographer. His modest beginnings started with uploading a video he created with his cellphone of a friend's open mic performance. That was compelling enough to be contacted about the possibility of making money from creating similar content. Fast forward to today, and this self-taught photographer has built a growing business specializing in music, portraits and special event photography. We are excited to share with you our interview with Dan in today's episode of Small Business War Stories. The Shack Up Inn embodies the intersection between music and cultural tourism. A stay at one of their sharecropper shacks immediately immerses you in the history of plantation life while also immersing you in the live music scene at the birth place of the blues. The Shack Up Inn started nearly 20 years ago as a single sharecropper shack on a plantation in Clarksdale, Mississippi. Tourists interested in seeing what a plantation looked like started asking about renting the shack. Fast forward to today, The Shack Up Inn has 19 shacks, can accommodate over 100 people, and has its own live music venue that has featured legends such as Robert Plant, Tom Waits and Elvis Costello. In today's episode of Small Business War Stories, we spoke with Guy Malvezzi to learn how they got their start, why music tourism and much more. Claire Flowers was in software sales and after years of suffering through poorly made shoes that would get caught in sidewalk grates and fall apart weeks after buying, she was inspired to design her own shoe. Now, it turns out, getting someone to manufacture a single shoe is not so simple. It's not like getting a tailored suit. Large manufacturers have no interest in doing one-off business like that and no one overseas will do it. This is what inspired Claire to start Claire Flowers Shoes. She wanted a woman's shoe that feel like a Nike, looks like a Jimmy Choo, and wears like a work boot. We sat down with Claire to talk about how she went from idea to full fledged business and much more in this latest episode of Small Business War Stories. He was unfortunately disappointed. The new amp didn't sound anything like his old second hand amp. After comparing the electronics between his old and new amps, he realized that in order to have a new amp that sounded like his old amp, he'd need to build it himself. This incredible story was the modest beginnings of Victoria Amps. We get Mark's full story and much more on the latest episode of Small Business War Stories. 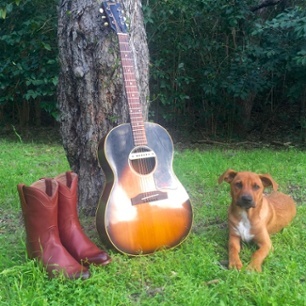 So, he packed up the car and in the month of October 2017, Pablo hit the road with his puppy Muddy Waggers, his guitar, and his podcasting equipment. He covered over 4,000 miles and recorded 31 podcast episodes with small business owners throughout the heart of America. This time around the itinerary was: Austin, TX; Denver, CO; Bozeman, MT; Jackson, MT; Durango, CO; Santa Fe, NM; Albuquerque, NM & home to Texas once again. Are you a small business owner, manager, or operator who wants to be interviewed and featured on Small Business War Stories as well as the Proven blog? If so, please contact us at podcast@proven.com. Let us know a little bit about your business, where you are located and why you are interested in appearing as a guest. The wife and I just read this wonderful post. Good information.